June started off with a trip down to London for the day with Adam for a smoothie and croissant pit stop at Saint Aymes, a stroll through hyde park and a long tube and Uber journey to BlogConLDN! I had the pleasure of meeting Misha Grimes (Miss Teen Galaxy), Scarlett London, Hello Miss Jordan as well - a few of my favourite Instagrammers. I had the pleasure of speaking to quite a few brands with the likes of SanDisk, Light Bites, Jewellery Box, Johnny Loves Rosie and a fair few others that I managed to speak to! 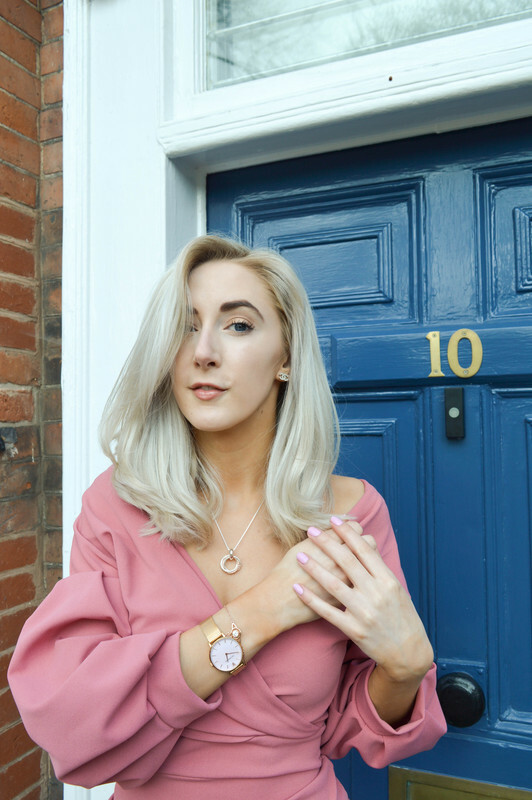 It was so nice having that time to network with brands and who's behind them, as well as speak to so many lovely bloggers all in the one place! You can watch the whole vlog here. During June I also managed to pass my Theory Test! Woohoo! (FINALLY!) Adam got me the cutest present...a frame of our favourite picture together on holiday and a lovely 'Congratualtions' card too, how sweet of him! But he was so supportive through the whole process! Thank you Adam for that. The link to that video is here. I spent some time in Samoan Joes (no surprise there!) again for a night out with Adam, Sophie and Sam which was a night filled with lots of laughs, dancing and, of course, cocktails! Me and Adam also had a lovely weekend in Leamington Spa doing a spot of shopping, checking out the Peace Festival that was on that day, having a go at the giant hula hoops! We also went for lunch at Zizzi's (of course) which is my favourite. The next day was Father's Day, so I took my Dad for a meal at the Farmhouse in Coventry and had the most divine Indian food! Officially my new favourite place to eat! Dad certainly enjoyed it too, as he ate his entire dish of Chicken Vindaloo, yet the portions are huge enough for you to take home for another meal. Which of course I did that. Watch the vlog here. Adam's Birthday also happened in June and my gosh did I have some surprises up my sleeve! Well, mainly melting in the boot of a car, but you'll have to watch this vlog to know what really happened! 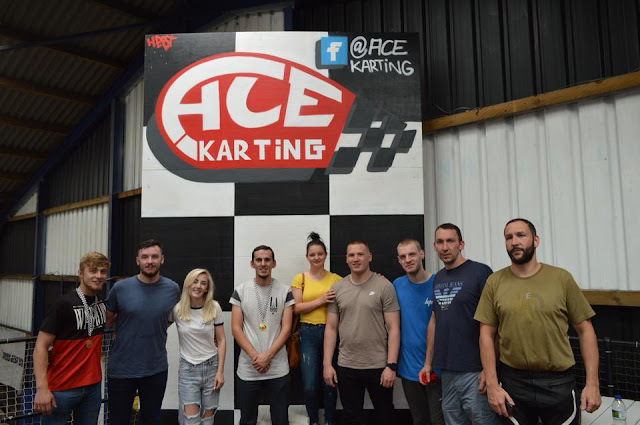 I surprised him by inviting his friends and family to go Go Karting at Ace Karting in Nuneaton which he really enjoyed and so did everyone else and Adam came first and got a cute Karting trophy! We then all went for a lovely meal at the Bull & Butcher pub in Corley which was so nice to have with everyone there that came. Lastly, we went to Santa Pod Raceway for the day with Sophie and Sam in the in the scorching sunshine! It was quite fun sitting and watching all different types of race cars and motorbikes go flying down the racetrack between 80-320mph! Only £14 a ticket when you buy online in advance! That pretty much sums up what happened in June! What did you do in June? Awh it sounds as if you had a lovely June filled with so many activities! Congrats on passing your theory test, and all the best to your practical.